ITS LIQUID GEL…IN A CAPSULE! silica – helps to give strength and support to Skin, Hair & Nails. Colloidal silica helps promote the strength,integrity, elasticity, firmness, and health of connective tissue throughout the body. It’s Natures Building Block. Biotin – (Vitamin H) – is important for hair and nail formation as well as strength. It assists to reduce nails breaking and splitting. Manganese – Beneficial to healthy bone structure, bone metabolism and helping to create essential enzymes for building bones. It is a powerful antioxidant that seeks out the free radicals in the human body. Zinc – helps maintain your skins structural integrity and assists in the management of acne. Adequate levels help to support healthy skin and minor wound healing. Selenium – an antioxidant which can help to slow the signs of ageing by helping to protect cells from free radical damage. 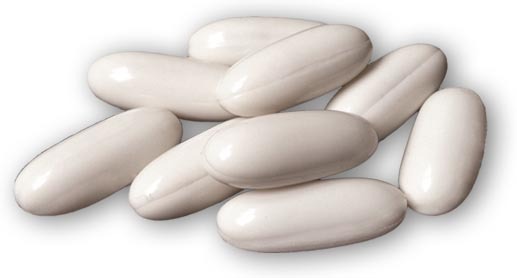 silicea ULTRA One a Day soft capsules are the latest new innovation from Huebner Germany. The soft gel inside each capsule is Bioavailable, allowing it to be processed and absorbed quickly, as well as being easy to swallow. With your recommended daily intake(*) requirements of Biotin, Manganese, Zinc and Selenium, as well as silica in a single One a Day capsule. Preservative Free. GM Free. Made in Germany using the finest premium quality ingredients. Available now! Take one soft capsule per day, swallowed whole, with a glass of water. Zinc Gluconate 107.8mg (equiv Zinc 14mg), Sodium Selenite 156ug (equiv Selenium 70ug). Does not contain yeast, gluten, dairy product, soy or preservatives.